"It is seven hour time difference. It is in the another side on the Earth. World is full of imagination. Seven hours of difference, Taiwan - France." For Asian, it is an important event that people leave their home and go to another place/country. Chhut Mn̂g, meaning of “leave home” in Taiwanese. 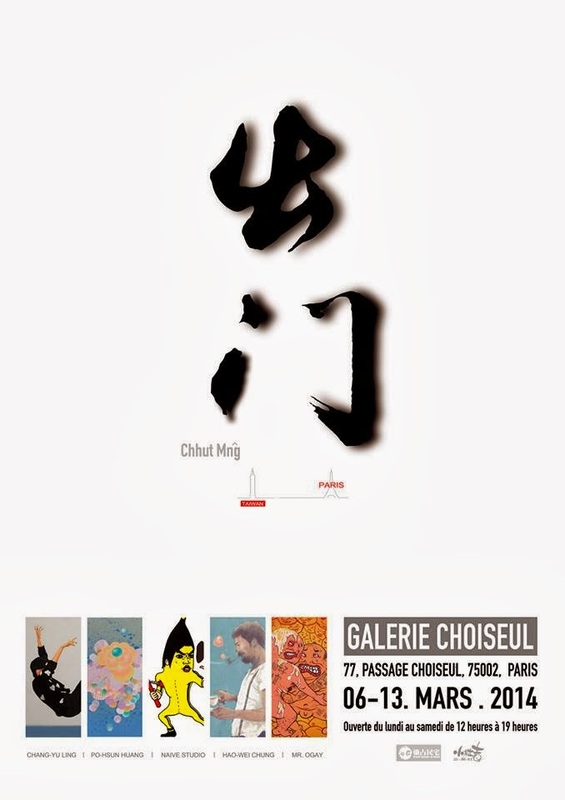 In the theme of Chhut Mn̂g, those works "travel" to Paris, and the artists would like to introduce their works to the audience here. A group of Taiwanese young artists came from similar background, spoke same dialect, and wanted to share their creations. This time, they travel 6275 miles from Taiwan to France. They want to communicate with the world by presenting their works with the more sincerely and directly way.